Women… Suffering from Hot Flashes? 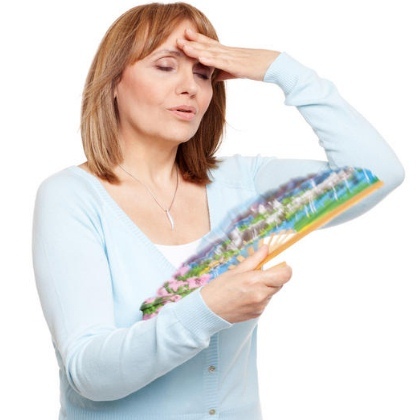 Hypnosis Can Help with Hot Flashes! Over the years a significant part of my private hypnosis practice has been helping people deal with physical aliments that make live difficult. Typically, when people think of this, they immediately think of pain management. And while that is a large part of my practice, I also help people with other physical challenges that include improved sexual function, improved focus and concentration, managing migraines, removing crippling fears, and pre- and post-surgical healing. One area that I have had good success in is that of helping women deal with hot-flashes brought on by illness, cancer treatment, or menopause. I know that I do not need to tell women how uncomfortable and even disruptive these sudden onset. They often disrupt sleep, which results in more stress and decreased functioning in the woman’s day-to-day life. This starts a vicious cycle of anxiety in anticipation of the next hot-flash episode, which in turn leads to hyper-focus and magnification of the symptoms. Think about it this way. When you go to the dentist and he or she is about to give you a shot of Novocaine, what is the thing they usually say?…. “You are going to feel a pinch.” The problem with this is that they have now implanted a suggestion that has you focused on the “pinch” which creates anxiety, triggers flight/fight/freeze response to pain, and makes the dental procedure a negative experience. Honestly, I am grateful for the inarticulate way that dentists do this to their patients. It begins the dental fear/phobia cycle that begins with the painful negative experience and continues to grow as people anticipate the discomfort in front of their next dental visit. Similarly, we magnify pain and discomfort as a result of unpleasant experiences, such as hot-flashes. The fear of that experience creates a cortisol stress reaction that wreaks havoc on the body. However, the really great news is that the impact of hot-flashes can be control by your powerful subconscious mind when the right post-hypnotic suggestions are implanted. To this end, I would like to share a story about a friend that I recently had a chance to help control her severe hot-flashes. My friend, S.A. is a breast cancer survivor who is presently undergoing treatment to keep her cancer at bay. During her intense chemo-therapy and recovery, she discovered the power of hypnosis and having a positive attitude. She spent her time watching the comedy hypnosis of a good friend and colleague of mine, the Incredible Hypnotist, Richard Barker. This lifted her spirits and helped get through the ordeal. S.A. you are very welcome! I am so glad that you are a friend and more importantly, that I could help. I wish you continued strength as you demonstrate how important positive thinking and focus is in battling cancer. I am excited that you have made the decision to become a hypnotist yourself. You will be amazing because you know that the subconscious mind is amazingly powerful. That which we focus on becomes our reality and our destiny. You have demonstrated that power to yourself and so many of those you come in contact with. For those of you who want to learn more about how hypnosis can help you improve your life… email me at – info@hypnomarc.com or better yet, just click on the red bar on the side of this page.